Power: 2W, low power consumption, no fever. 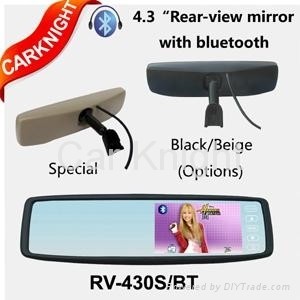 Automatically start audio and video entertainment player when driving, start rearview monitor when reversing, merging driving entertainment with reversing security. Startup circumstance: when driving, automatically play AV1 VCD/DVD screen; when reversing, auto switch AV2 camera screen. Shutdown circumstance: when reversing and parking, automatically start AV2 camera screen with signal; when finish reversing, automatically shut down. Save more energy. 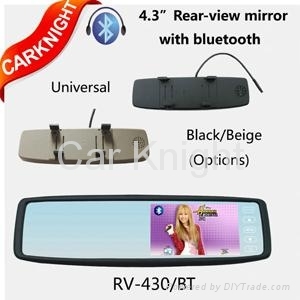 Optional rear-view camera with visual reversing function provided.